What a fun show! And long overdue for me, since it has been six months since my last show. 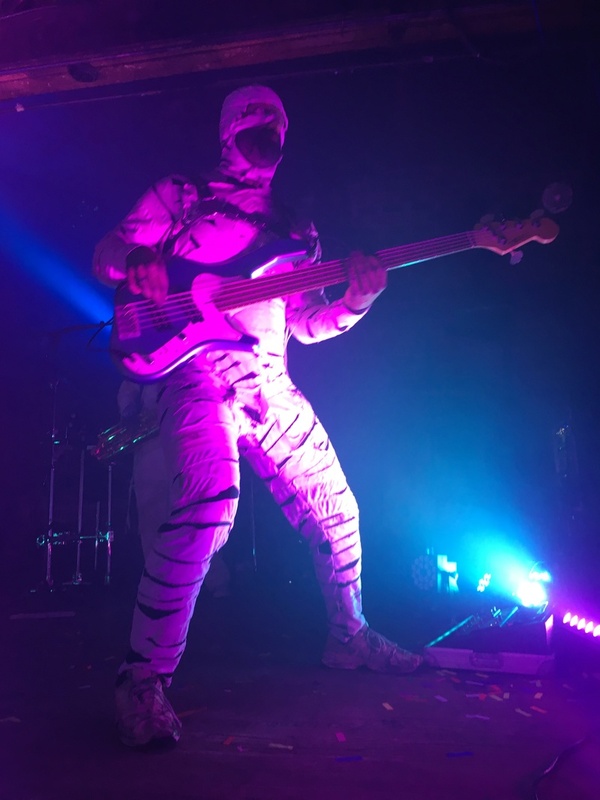 The boys are evidently recovered from the virus that caused them to cancel shows for the first time in their history --- the energy level at this show was higher than I’ve seen in a long time. Of course some of that may have been because of their “mystery guest”, BB Queen! It was very obvious that the boys were thrilled to have BB playing with them, and all of us fans felt the same way. BB is not only a great trumpet player, but truly one of the sweetest mummies ever. The set list included all the usual songs --- in no particular order --- Pants, Ra Ra Ra, Kinda Lingers, My Party, Make it Shake, All Over Now, Limo Ride, Freak Flag, Fenk Shui, Bring That Down, Peccadillo, Hard at Work, and more . . . . . can't remember them all . . . . with Booty and Wonders of the World for encores. New songs were Underground, Friction, Night Like This, and Wicked Never Rest. Underground, which has been mainly overlooked by a lot of people, was amazing! The guys were really into the syncopated rhythm and jive feel of that one, and there were some outstanding extended solos on it. It may have been my favorite song of the night. 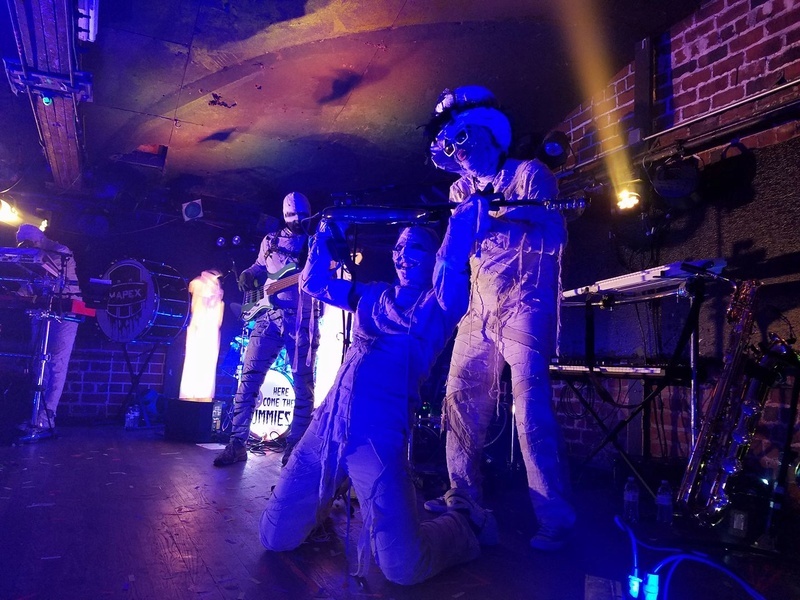 Midnight showed off his talents on flute, voice synthesizer, and two saxes at once, in addition to playing Cass’s guitar with drumsticks as Cass held the guitar over his head. Midnight also did some mid-show exercises on the big beam that hangs over the stage. Mummies at the meet and greet were Spaz, Rah, and BB. Special thanks to Rah and BB for kisses on the cheek and extra special hugs. I’m sure the forum folks at the Cumberland Caverns had just as much fun today as I had on Friday night in Bloomington. I look forward to reading their reviews! Love your review, Mishy! Its awesome that BB is still occasionally going to show up...he's so incredibly talented and energetic! Thanks, Mish. I was wondering if they were going to add Underground to the line up since they did go "underground". did anyone else get a better pic of pole? i'm looking for a good shot of that bass. it's a custom. Here's the only one I got, Vic.